For this week’s post, I wanted to talk about something that often gets neglected and overlooked. Yup, I am talking about knife care and maintenance, and in particular the importance of regularly applying knife oil. 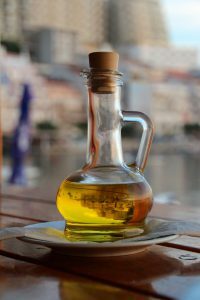 We’ll talk about knife oil in greater detail throughout this post, but to start off let’s talk about what happens if you don’t care for, and maintain your knives…..I mean could the consequences really be all that bad? And the answer to this is yes. Not properly caring for your knife can result in all sorts of problems in the long run: formation of rust, chips and nicks, and a misaligned edge. If you do things properly however, the benefits are huge. Your knife will perform at its best and will give you service for many years to come. Remember, oiling a knife is just one of the many things you will need to be doing regularly. Knife care is a lot more extensive and covers everything from storage, honing, cleaning, oiling, sharpening, and stropping. It’s important to keep that in mind, as our discussion today will be limited to oiling only. Should You Be Using Olive Oil On Your Knives? Keep Reading To Find Out! I’ll repeat what I said previously in another post: rust is to steel (in our case knives), as cancer is to humans. Catch it early and it’s relatively easy to deal with, catch it late and it’s a lot more problematic. In a separate post, I talk about rust in more detail and what can be done to rectify it. Click here to check out that post (make sure you read the full thing!). Okay, if you’ve read the post, you will know that rust forms only in the presence of water and oxygen. So water and oxygen are the 2 main culprits that cause us all this grief, but if we remove one from the equation then that should solve the problem. Keeping your knife dry at all times will take care of the water part, but you mustn’t forget that air contains both oxygen and water (water vapor), and this is exactly where knife oil comes into play. Applying a coating of oil onto your blade serves as an impenetrable barrier to oxygen in the air. It is this impenetrable barrier that protects against rust. Moving parts must always be lubricated. In this case I am talking about metal to metal contact which is generally more common in folding knives than kitchen knives. Okay, so this point is especially important for anyone who owns a knife with some sort of folding mechanism (metal to metal contact and movement). Lubrication is important because it keeps everything moving smoothly and reduces friction. 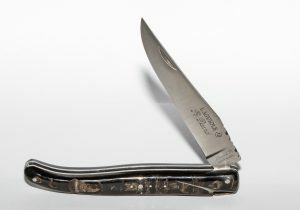 In the case of folding knives, it ensures the knife is able to open and close smoothly with minimal effort. Not lubricating your blade with knife oil can not only affect the folding mechanism, but also potentially cause wear and damage to the moving parts. Again, this is something that is so simple and easy to do, yet so many people don’t do it! It takes literally 2-3 minutes if not less to apply a droplet or two of oil as required. Do the right thing, your blade will thank you for it! #3 Clean As A Whistle! So you’ve gone the whole nine yards to not only sharpen your blade, but also polish it to get that mirror edge. What’s left to do? Just one more thing….Dab a coat of knife oil to it, and boom! It’s so clean, you can see your face on it. The final coating of oil is what keeps your knives looking clean and professional. This is one of those things that has nothing to do with functionality, but everything to do with aesthetics. If you’ve done it before, you’ll know exactly what I mean! There’s literally tons of different blade oils available in the market, so picking one can be a little confusing. I am not too picky when it comes to oils, and I think most products out there will do the trick. Having said that, the only oil i’d suggest not using is olive oil, and that’s because olive oil will go rancid after some time. It’ll solidify into a gummy, sticky state and cause problems with the knife’s folding mechanism. So what should you use? I personally really like using mineral oil, and that’s because it’s readily available, easy to work with, and can be bought in food grade. Every enthusiast has his/her own favorite, and that’s fine also. 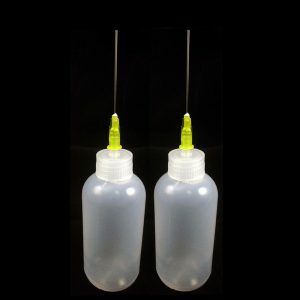 One thing that’s important to have is a needle applicator, so you can apply oil exactly where you want without making a mess. You can find these in pretty much any hardware store, as well as Amazon and eBay. If you’re wondering about how to oil your knife, here’s an informative video that explains everything in great detail. Please watch what he does and try to replicate it exactly (all credit to cutlerylover). Oiling a knife is something you should seriously consider doing, if you’re not already. It takes less than 5 minutes, it’s easy to do, and doesn’t cost much. The benefits include rust protection, lubrication, and a clean professional finish. That’s it….I hope you enjoyed reading this weekend’s post and if you did, a share would be appreciated! Please don’t hesitate to ask questions should you have any. Enjoy what’s left of the weekend, and until next time!